Edward Yardeni’s (“Dr. Ed’s”) Predicting the Markets: A Professional Autobiography is a massive, entertaining, and enlightening work that captures the reader’s imagination and challenges established investment and analytical processes. The title only begins to suggest what is inside. Beyond “predicting the markets,” the book encompasses decades of intense, thoughtful research that shows there is no single simple—or even complex—way to predict the markets, the economy, or any sector within them. Solid research goes a long way, however, toward blazing a trail, creating new insights, and hypothesizing about the future. To some extent, Predicting the Markets is more retrospective than predictive. Yardeni reviews past and present Federal Reserve Bank monetary policy and certain aspects of its implementation, such as setting interest rate and inflation targets and quantitative easing. He also addresses how valuation methods have changed from dividend-driven approaches to earnings-driven approaches and beyond. The actual professional autobiography is charmingly presented in Chapter 1. It is so extensive that it could stand as a book on its own. In these pages, Yardeni recounts his four decades in the investment business, primarily as an economist but also in a breakthrough position he attained at C.J. Lawrence as chief economist/chief investment strategist. In 2007, he founded his own firm, Yardeni Research, where he continues to serve in the dual function of president and chief investment strategist. Certain details of the book’s autobiographical component will probably strike current CFA candidates as quaint. Computers and databases were not easily available 40 years ago, but Yardeni and his contemporaries delved into time series and corporate filings while enjoying access to great thinkers and to corporate management in an era prior to Regulation Fair Disclosure. Yardeni grew professionally in a time when corporate buybacks were considered poor practice, if not borderline illegal. The heart of the book is simultaneously professional and personal, as well as both retrospective and predictive. Yardeni addresses, in an economic setting, the critical issues driving the markets, considering current and hypothetical conditions. History always influences—and demographics invariably guide—his work. 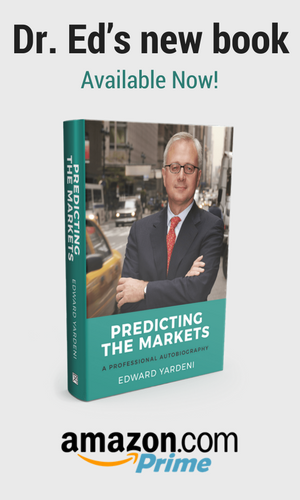 Readers will be rewarded for the effort required to understand the specific workings of the models and relationships that Yardeni explains not only through backtesting but also by observing how they are likely to perform in the future under different conditions. Does anyone stress to the extent Yardeni does the need to study the Federal Reserve Bank’s “Financial Accounts of the United States” on a regular basis to gain a sense of where investors are investing? Economists will recognize the legacy he shares with Janet Yellen as a former student of James Tobin at Yale University. His neo-Keynesian focus is clearly on growth in real income and investment. Among the chapters, “Predicting the Fed” is a standout. It is the lengthiest and the most comprehensive in revisiting the reasoning behind policies and the actions that result from them. Readers will perceive in a new light why certain monetary actions (such as deactivating the gold standard) were taken at specific points in time. Thanks to the questions Yardeni poses about quantitative easing, they will begin to comprehend why it has been as massive and has lasted as long as it has over the past decade. The discussions in this chapter make the reader feel like a member of the Federal Open Market Committee. Readers will also improve their understanding of inflection points in the economy, provided they are willing to put in the necessary time to perform the required analysis. This learning is also facilitated by reviewing the book’s excellent charts, along with timely updates that Yardeni makes available online. The chapter titled “Predicting Valuation” is informative for individuals engaged in capital investments for businesses, corporate finance, and asset management. Its clarity rests in the applicability of particular valuation methods at different points in time and their lack of validity at others. Yardeni mentions CFA candidates in this chapter and the necessity that they understand the Fed’s Stock Valuation Model of 1997 and the 1999 Yardeni extension of it. Recall that Alan Greenspan was the first Fed chair to comment about the impact of monetary policy on the interaction between the inflation rate and the valuation of equities. (How could any of us then working as analysts and investors forget Chair Greenspan’s assertion that low price inflation was boosting valuation multiples to levels of “irrational exuberance”?) The importance of this exercise is to understand why such models were used, how the inflection points were measured, and how useful or useless they may be now and in the future. The tried and true dividend discount model cannot be applied in all situations, nor can earnings-centric models when real interest rates—or earnings—are at or below zero. Predicting the Markets differs from the autobiographical works of other economists and investors (such as Henry Kaufman, Andrew Lanyi, and Michael Steinhardt) in its humor and occasional boasting. It is also grounded in disciplined study and analysis over decades, while providing clear, meaningful narrative and graphs. Yardeni demonstrates that his well-informed conclusions and insights are derived from hard data and facts and states that they remain subject to change as new conditions emerge. His mega-book will inspire both novice and seasoned economists and investors to use common sense, coupled with an intellectual edge.